The problems associated with the widespread rumors of Twitters “for sale” status and that the management team is divided on whether or not to sell the company were compounded this morning with reports that Google, Disney and Apple will not be bidders. The stock price is down 20 percent to $19.79 at the time of writing. Who runs Twitter — board or management? The impressive board of directors seems to have set itself against CEO Jack Dorsey by seeking an exit. This is not the first time the company seems to be being run by the board rather than management. Previous changes in strategy, management and even the decision to IPO do not seem to have been organic decisions planned by management, but rather reactive board-led decisions. As anybody who has run a business knows, a board-management tug-of-war almost never results in a win. Boards hold managers accountable on behalf of shareholders, and managers run companies. It is not clear that this is the case at Twitter — and that may be the source of many of the issues. The board is made up of many celebrity figures, including Peter Fenton, Marjorie Scardino, Bret Taylor, David Rosenblatt, Martha Lane Fox and Omid Kordestani. Previously, Fred Wilson had also been a strong-minded board member. The board’s opinions about the strategy and tactics may reflect a weak management needing direction, or may represent frustrated operators hoping for an exit and seeking to influence day-to-day decisions. Only an insider knows. 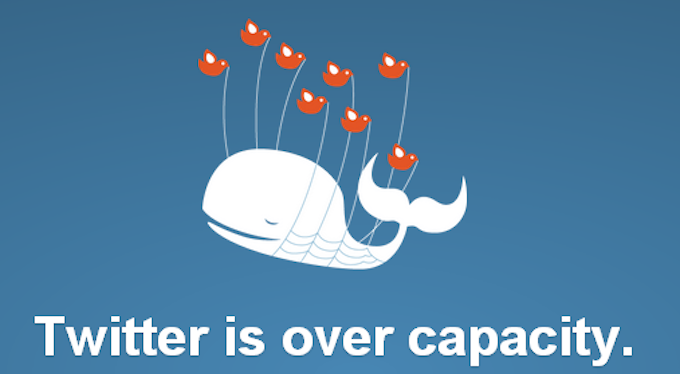 But one thing is clear, unless Twitter management actually runs the company, the future of the company will be bleak. In this context, the big question that should be being asked is remarkably absent from the discussion. Should Twitter be sold? Another way to ask this question is — is Twitter like Yahoo? Is the company a product of a previous era, with limited growth potential, ready to be moved to a company with deep pockets that would value the 300 million or so monthly active users? Why no? In principle, Twitter is the communications bus for the entire world. I would guess that 2-3 billion people a month see a Tweet mentioned on TV, radio, in a movie, in print. It has become an almost ubiquitous broadcast platform for anybody wishing to publish an event, an opinion, a riposte. It is a marketing platform used by every brand in the world. Compared to the other means of disseminating content, Twitter is a giant. This allowed Twitter to become a branded destination and created the conditions where its key KPIs were not “tweets seen” but became “logged-in users” on a Twitter-owned property. The advertising platform Twitter has so impressively built over the past 3-4 years is based on top of this approach. The $2 billion or so in revenues it generates is impressive, but tiny compared to what would result from a truly universal data bus available everywhere. This would be a replacement of Google for content discovery, whereas the current Twitter is at best a replacement for Yahoo as a destination for content — and a poor one at that. Most of the 2013-2016 ailments of Twitter emanate from this product decision and the decision to IPO before it was completely built and functioning. The management changes, the stock performance, the yearning to sell the company. With the emergence of live video — an area YouTube should excel in — the impact of this would be compounded by the video ad opportunity. And the vision would be well-aligned with Google’s “organize the World’s Information, and make it Accessible” vision. If Google is truly out of the race, Larry or Sergey or David Drummond — call me and let me explain why you should re-consider. I’m always available at http://chat.center/keith. If neither option materializes, Twitter should take itself private — Qihoo360 just did this, as did Dell. There would be no shortage of banks interested in helping.